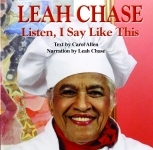 After rejecting the usual occupations for respectable Creole girls to work in a restaurant in the French Quarter, Leah married Edgar “Dooky” Chase II and began running the kitchen for her mother-in-law. After her mother-in-law’s death, Leah nurtured the former po’ boy shop and numbers business into a world-class restaurant. Dooky Chase’s was one of a handful of restaurants in the country where African-Americans could sit down to a nice meal in well-appointed surroundings. The restaurant was and still is frequented by prominent African American actors, athletes, artists, writers, and musicians. It has also always been a gathering place for local politicians and activists. 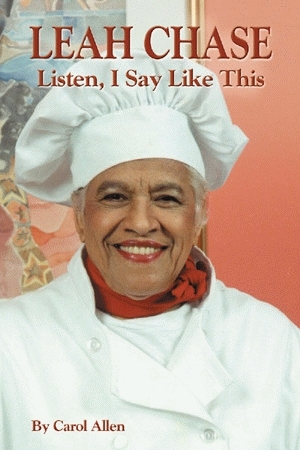 Leah Chase has become a living legend for popularizing Creole cuisine, for her political activism, for her tireless work for numerous organizations, and for her extensive art collection. Through it all, she raised four children and survived the sudden loss of the daughter with whom she worked closely and a bombing during the Civil Rights era. What has borne her through it all is perhaps the most compelling aspect of this amazing woman: her faith and her family. Carol Allen began her career as an educator and school administrator in public schools in Louisiana and Nebraska and as a university professor in South Carolina. She founded and, for six years, directed the Paris Writers Workshop and organized the international conference, Women on the Move. She is the author of a book of children’s poetry and has edited a collection of essays by women on living abroad. 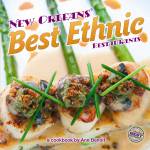 Allen divides her time between Provence and Paris, France, and New Orleans, Louisiana.